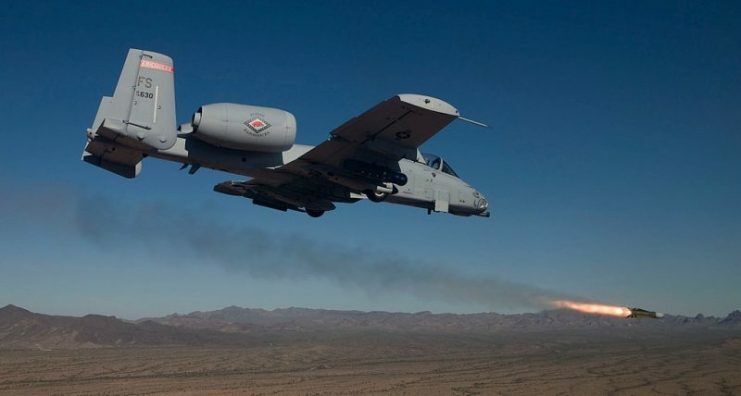 The American A-10 is one tough plane. 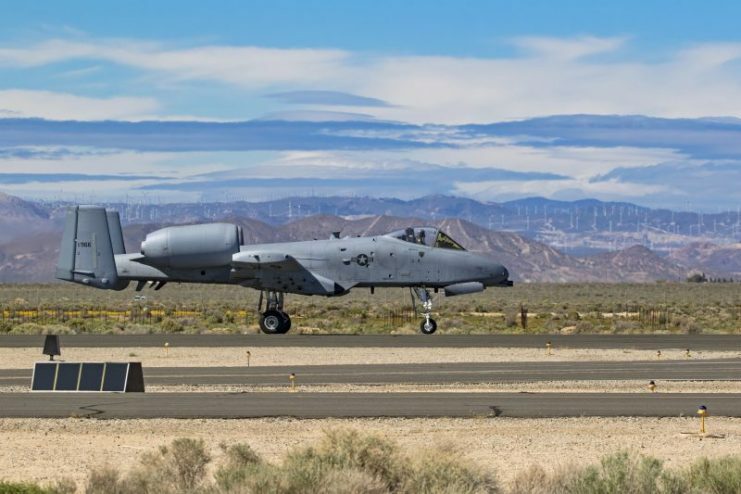 Its official name is “Thunderbolt II,” but its nickname is “Warthog.” This plane has been scheduled for decommissioning several times, and each time members of the Defense Department and the branches of the military which fly it have come to its aid. 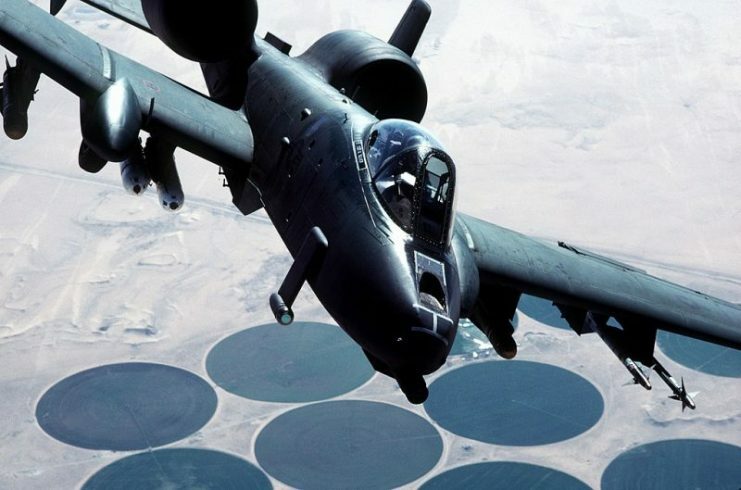 The plane began flying missions in the 1970s and A-10s are still flying support for American troops throughout the world. The Warthog is tough in another way. 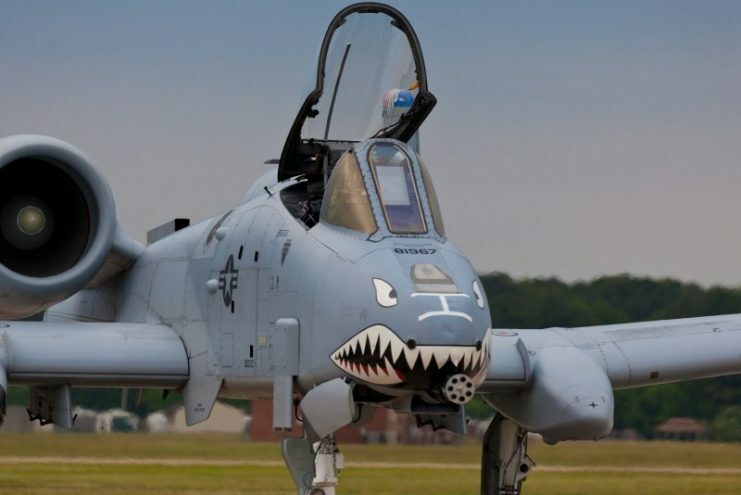 Like its historical predecessor, the Republic P-47 Thunderbolt of WWII (nicknamed the “Jug”), the A-10 can take a lot of punishment. 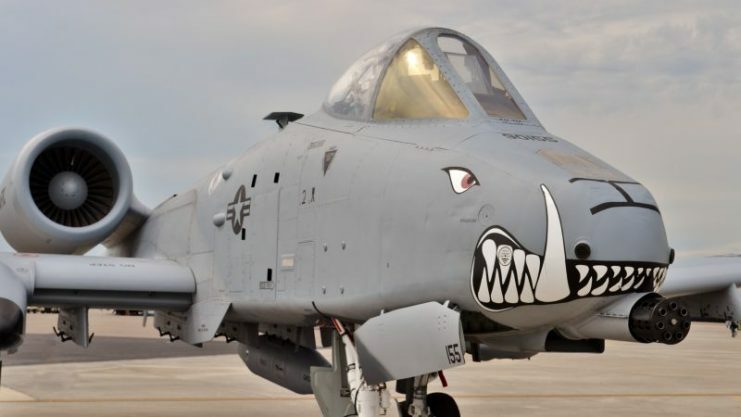 The Warthog is even made by a commercial descendant of the Republic Aviation Company, Fairchild Republic. Both planes were sturdily made, to say the least. In WWII, the P-47 frequently came home with big chunks taken out of its tail, damage to its wings, and numerous bullet holes in its fuselage. 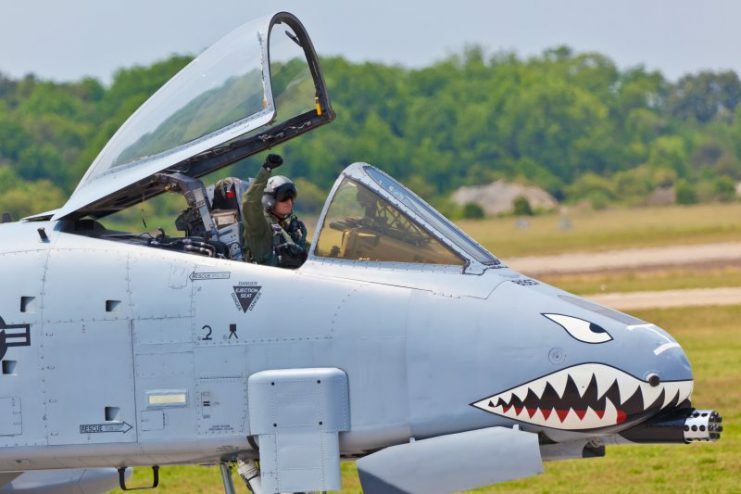 The A-10’s pilot is encased in a titanium protected cockpit, its engines are located above the fuselage in the tail, it has a number of built-in redundancies in case of damage (for instance, its hydraulic system), and it gives less of a heat signature than similar planes would. 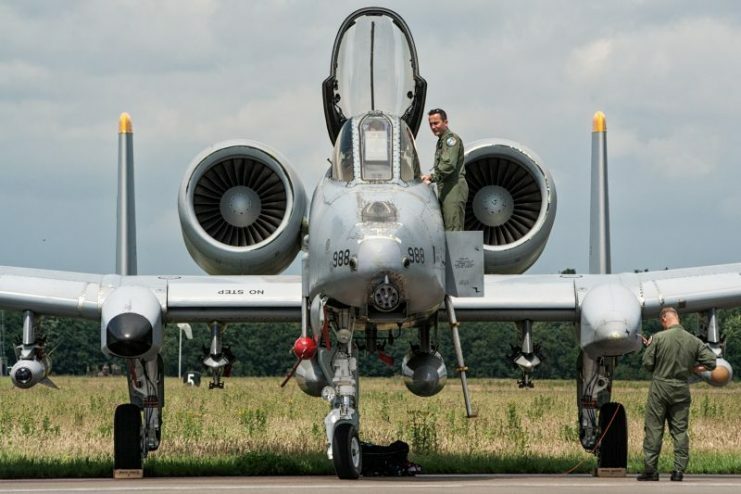 US Air Force A-10 Thunderbolt II attack aircraft on the tarmac of Volkel airbase. Both planes were designed to be “tank busters” and carried the armament to do a great deal of damage. The P-47 went through a number of variants during WWII, but among their weapons were eight .50 caliber machine guns, rockets, and up to 2,500 lbs of bombs. 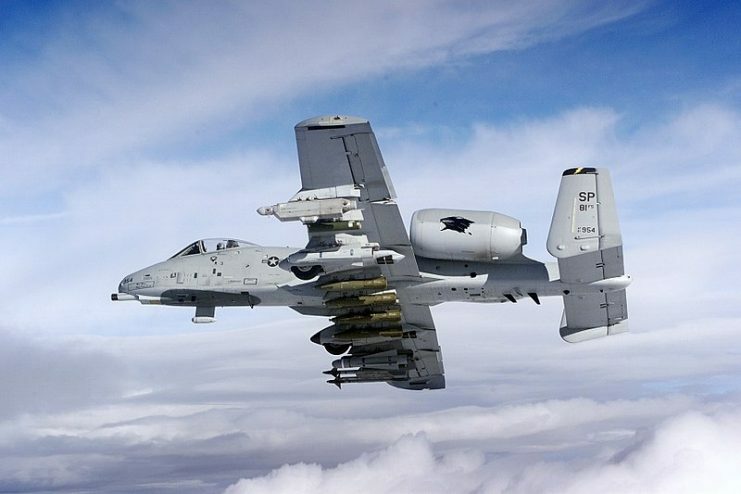 The A-10 can carry a variety of weapons, but its most famous armament is the 30mm cannon which it carries in its nose. This weapon fires a depleted uranium shell and can open most tanks like a can opener. 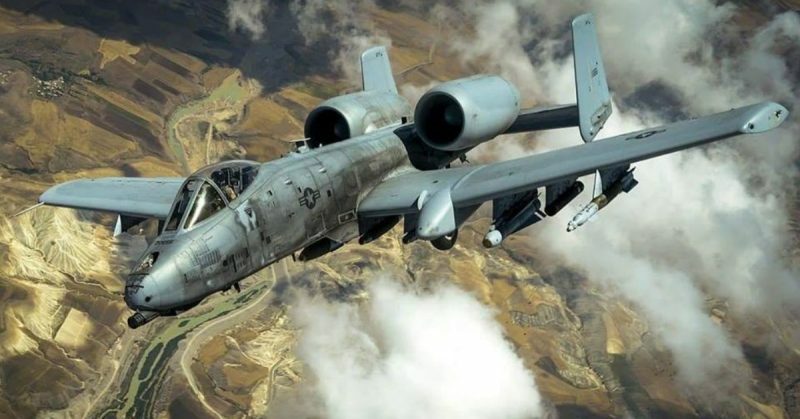 In the space of one day during the first Gulf War, A-10s destroyed over 20 Iraqi tanks. Other armaments include a variety of bombs (specialized according to mission) and missiles. 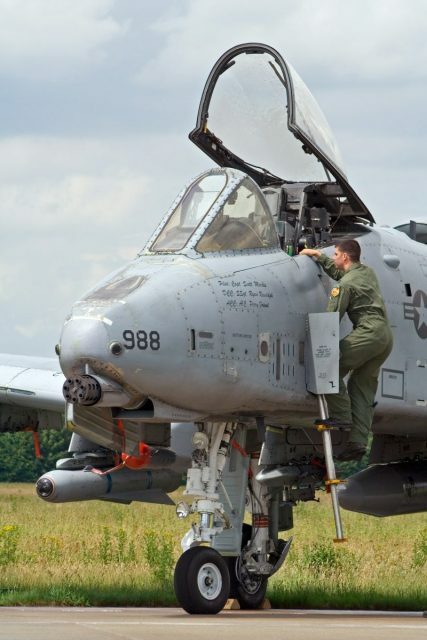 An A-10 from the 81st Fighter Squadron, Spangdahlem Air Base (Germany) fully armed. The other thing the planes have in common is that their pilots are tough. 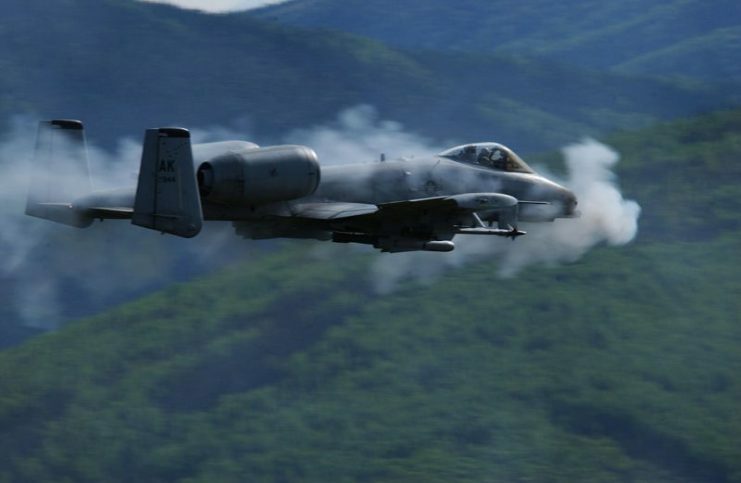 While the combat pilots of WWII were men, A-10s and other combat aircraft have been flown by women for some time now. One of those women was Colonel (then Captain) Kim Campbell, who flew an A-10 during Operation Iraqi Freedom. USAF Pilot Kim Campbell looks at her damaged A-10 Warthog which she landed at her base after a mission over Baghdad in 2003. On April 7, 2003, Campbell was flying in support of troops on the ground and looking for opportunistic targets, such as the many AAA anti-aircraft batteries the Iraqis had in the city. As she was about to return home, Campbell felt and heard her aircraft get hit. There was a loud bang. 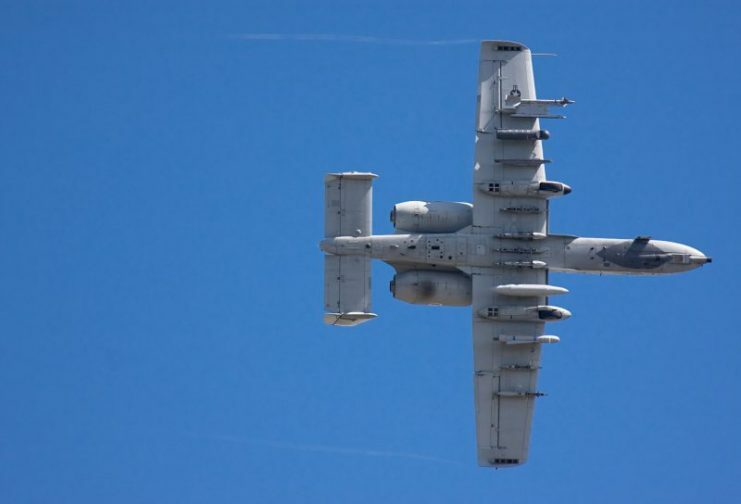 The A-10 rolled to its left and headed downward. She attempted to get her plane back under control by punching in commands on her flight computer, but it did not respond. Her hydraulics were out. 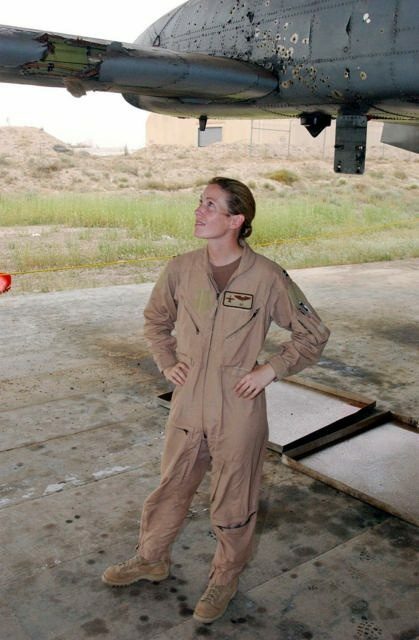 Captain Campbell knew one thing: she did not want to crash land or bail out over Baghdad. If she was “lucky” she would be held prisoner for propaganda value, tortured, probably raped, and executed. If she was “unlucky” she would be mobbed at the scene and torn apart. Neither alternative had any positives. So, Campbell flew her Warthog under what is known as “manual reversion,” meaning that all of the hydraulics which made flying the plane so much easier were out. She faced a struggle to get the plane back home manually. Imagine an 18-wheel semi truck with no power steering on a rainy road, and you’ll have some idea. Throw in people shooting at you from the ground, and you’ll have a better idea of what Captain Campbell was up against. Landing the plane might have been the hardest part. Campbell was interviewed later and said: “The jet was performing exceptionally well. When she returned to base, the captain and her flight crew took a good look at her plane. One engine was chewed up, as was the hydraulic system. 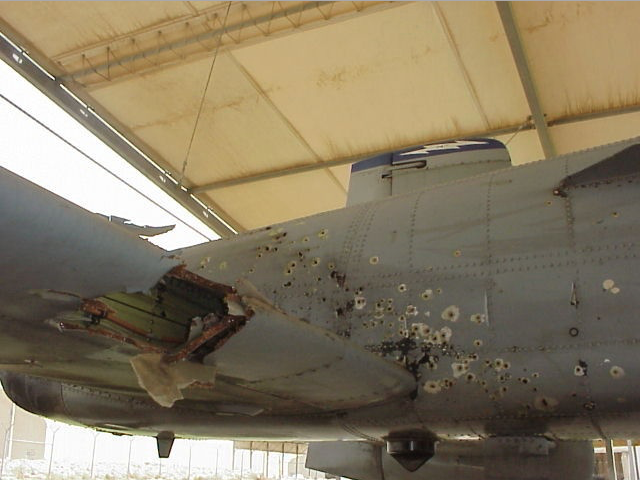 Hundreds of shrapnel holes dotted the air-frame, and large chunks of the stabilizer were missing. Those who fly will understand just how difficult landing that plane was. 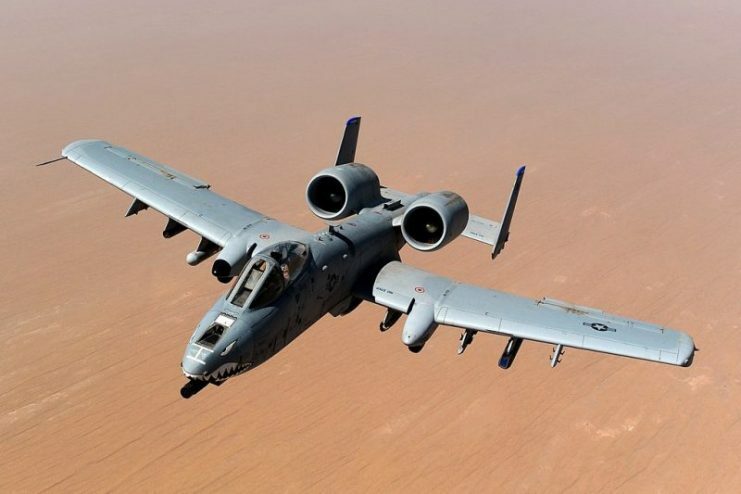 The A-10, for all of its brute strength, is not the most graceful machine on the planet. 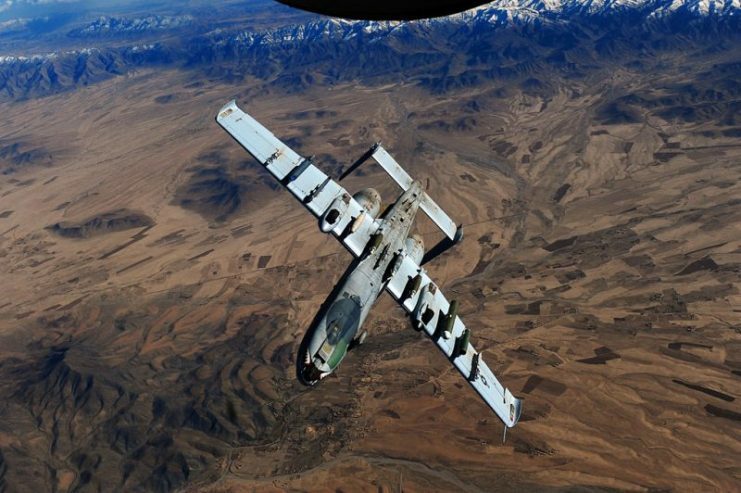 An A-10 Thunderbolt II, assigned to the 74th Fighter Squadron, Moody Air Force Base, GA, returns to mission after receiving fuel from a KC-135 Stratotanker, 340th Expeditionary Air Refueling Squadron, over the skies of Afghanistan in support of Operation Enduring Freedom, May 8, 2011. For her efforts, Captain Campbell was awarded the Distinguished Flying Cross. She later went on to fly combat missions in Afghanistan. 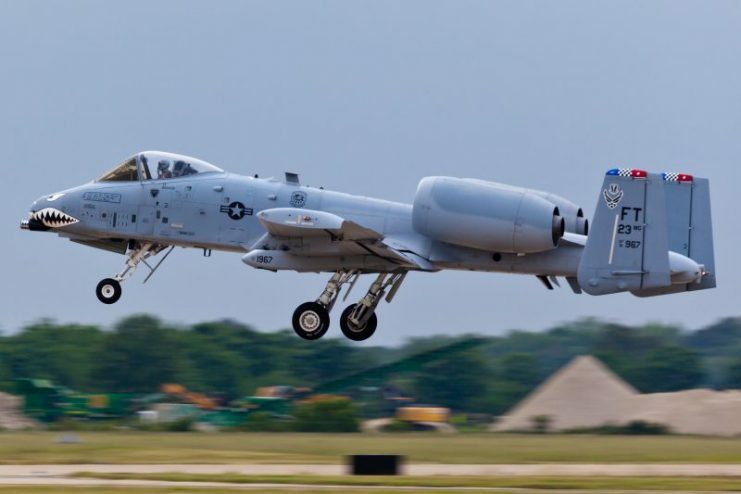 An Air Force A-10 Warthog: Thunderbolt II fighter jet parked on a runway in Moody AFB. 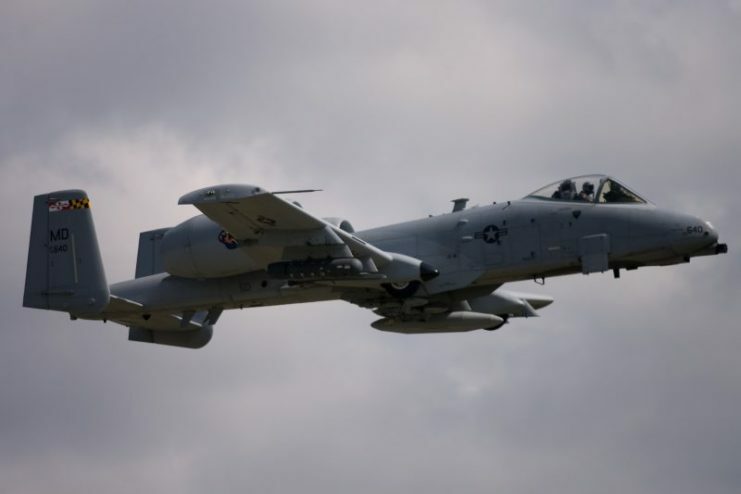 This A-10 attack jet belongs to the 74th Fighter Squadron. An Air Force A-10 Warthog: Thunderbolt II fighter jet parked on a runway in Tampa, FL in March 2016. 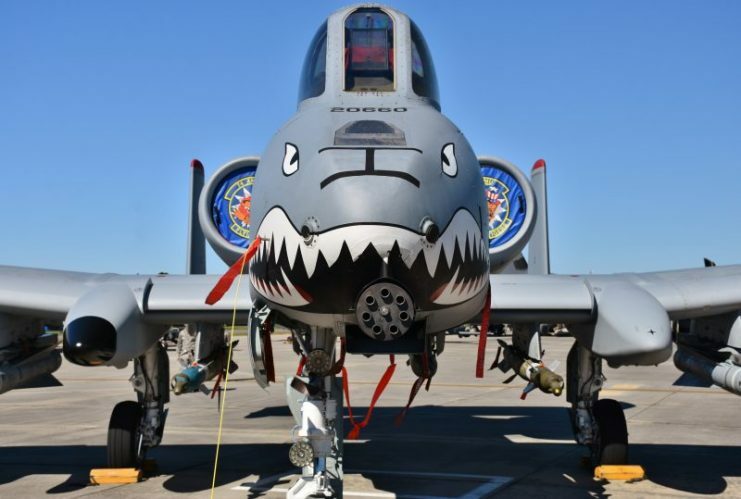 This A-10 attack jet belongs to the 442nd Fighter Wing of Air Force Reserve Command (AFRC). 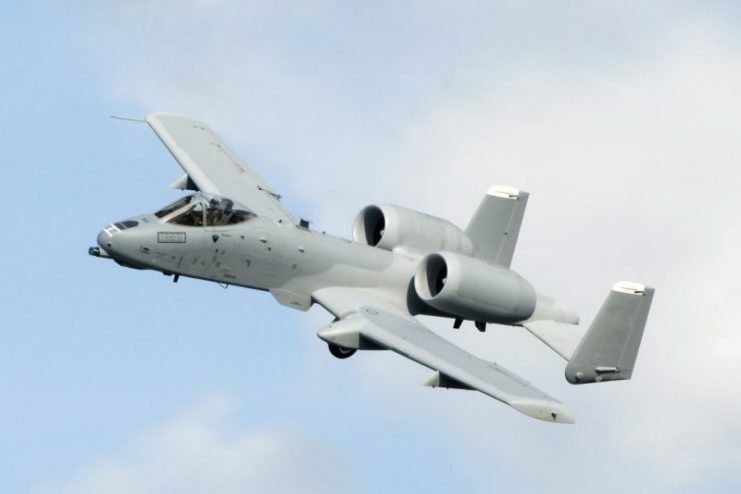 Fairchild Republic A-10 Thunderbolt II ‘Warthog’ fighter aircraft take-off at the 2017 Los Angeles Air Show in Los Angeles, California.